Dr. Carlos Tasso Eira De Aquino was the founding Chair of the Center for Workplace Diversity Research (2014-2016) at the School of Advanced Studies (University of Phoenix) in which he had been a key contributor and leader for research and the communications with faculty and students regarding scholarship opportunities and activities related to all dimensions of Diversity in the Workplace. 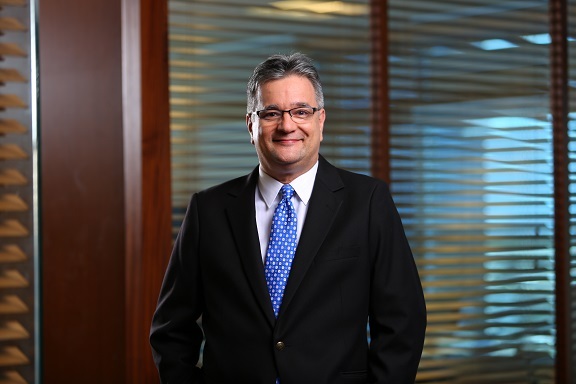 Dr. Carlos Tasso Eira De Aquino is an accomplished senior executive and professor combining a PhD and two Post-Docs with over 25 years of experience in leading and contributing to scholarship in Business, Education, IT, and Engineering. Along his career, Dr. Aquino accumulated achievements and recognition as Provost, Dean of Business, Dean of Accreditation, in institutions in the USA and abroad, with student and faculty bodies that encompassed a clear diversity of cultures. In his career, he has been strategically building and leading diverse teams to solve complex, systemic problems, besides managing, teaching, developing and supervising relevant research. He has an extensive experience with Entrepreneurship and Innovation and is adept at developing and implementing academic programs, accreditation processes, operational, regulatory and quality procedures and policies, and corporate training programs that foster measurable performance improvements. Dr. Aquino is a multi-lingual professional (English, Portuguese, Spanish), and his educational background includes a B.Sc. in Civil Engineering (Federal University of Rio de Janeiro, Brazil), and a M.Sc. in Structural Engineering (The George Washington University), a Ph.D. in Sciences and Nuclear Technology (University of São Paulo, Brazil), and two post-doctoral degrees – Mechanical Engineering, and Entrepreneurship (State University of Campinas, Brazil). Before moving to the United States in 2008, Dr. Aquino was responsible for the Brazilian version of many business books, published by Pearson Education, Cengage Learning and McGraw-Hill. Dr. Aquino has also authored a book on Adult Higher Education (How to Learn: Andragogy and Learning Skills) for Pearson Education in Brazil in 2008. He is an international accreditation evaluator for ACBSP having participated in site visits, including one in Lima, Peru, in October 2016. Since 2014 he has created, launched, and led centers of excellence dedicated to Diversity and Inclusion in the Workplace, developing programs and solutions in the various dimensions of Diversity and Inclusion, with a substantial focus on companies and organizations that embrace or are willing to launch diversity and inclusion strategies and professional development among internal and external stakeholders.